Online tee times are not availabile for Quinta do Lago North. 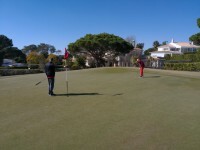 The Quinta do Lago North Golf course was originally know as the Ria Formosa Course. It has four great long par 5 holes that need strong fairway play combined with accuracy to succeed in maintaining a low score. When playing the par 3 holes it is important to bear in wind the sometimes strong wind. The 14th hole of the Quinta do Lago North Course is outstanding. A good drive is necessary in most holes in order to have a possibility of ending the hole with a satisfying score. The 13th and 18th have been known to be 'killers' due to the lake hazards. In general it can be considered a course for players who know how to 'draw the ball'. What a beautiful start to a week of golf in Algarve. The North course at Quinta do Lago is a tricky course with fast greens, but none the less a course I'd definitely love to play again. The whole setup on all three courses at Quinta do Lago is second to none, and I'll recommend to everyone who's going to Algarve to play golf, to try all three courses. Very good and enjoyable course, need to careful where you are going . If you hit the ball far , some holes are blind. This course is good for iron play and to keep on fairways. Will be back really enjoyed it . Course was very wet caused by adverse weather conditions with many fairways saturated with surface water, however no offer was made for any compensating reduction in green fees or allowance for future bookings. 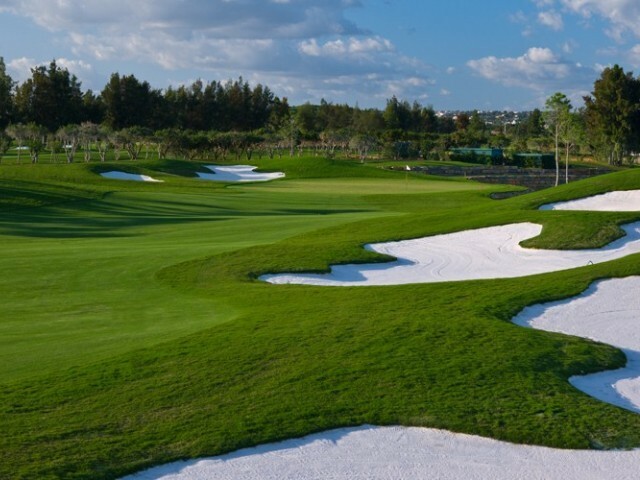 To post a review, score or a notice on Quinta do Lago North page's or to connect with other Quinta do Lago North golfers, please log in to your account or sign up using Google or Facebook.